THIS WEEK'S DAF YOMI COLUMN BY ADAM KIRSCH IN TABLET: Oil Change. In this week’s ‘Daf Yomi’ Talmud study, discussion of proper meal offerings displays the circularity and uncertainty of rituals recreated from a destroyed culture. One of the things that makes studying Talmud difficult is that the text takes a lot of prior knowledge for granted. After all, the Talmud was not written as a manual of Judaism, designed to instruct people how to reconstitute it from scratch. Rather, it takes the form of questions and debates that arose from daily practice. 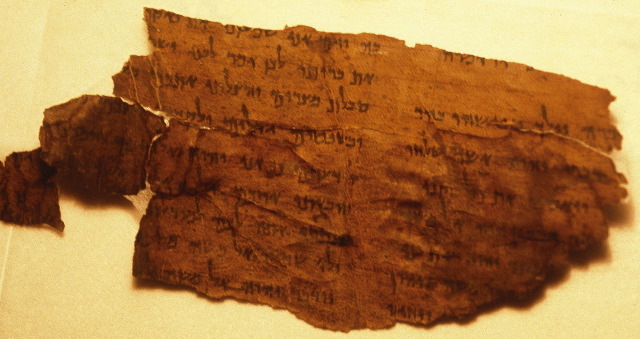 In the case of Tractate Menachot, for example, priests in the Temple did not need to consult a text to learn how to bring meal offerings; they saw it happening every day and learned by doing. It follows that the tractate does not begin by explaining what a meal offering consists of, how it is prepared, or how it is sacrificed. Yes. More on the mindset of rabbinic literature here. And Adam is quite right in his conclusions. The Talmud, and even the Mishnah, were composed long after living memory of the Temple service had passed away. A lot of what they say is inference and guesswork.